Today’s interview is with David Hassell of 15five. 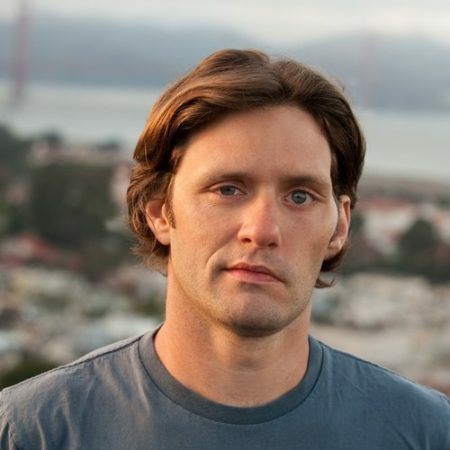 He’s been labeled as the ‘Most Connected Man You Don’t Know In Silicon Valley’ by Forbes and he tells us how he got there. David is a serial entrepreneur and shares some tips for keeping himself sharp. Launched in March 2012 – company idea based on 1988 Inc. Magazine article on Patagonia’s founder who talked about an internal practice to have each employee spend 15 minutes a week writing a report that would take the manager 5 minutes to read. Profiled in Inc. Magazine in May 2012 – picked up 100 customers. By December 2012, decided to start from scratch and rebuild product. Still managed 5x growth without any direct marketing (thanks to press mentions from Inc., Fast Company, Pando Daily and others). Future goals – release new version of product, place a greater emphasis on marketing. Have a curious personality – want to connect with new people and figure out what they’re about. Join Entrepreneurs Organization (EO) if you’re eligible to do so – if not, find other networking/mastermind opportunities. “Can’t connect the dots looking forward” – stay open, because you never know where and how connections will form. Take care of your body and health first thing (exercise, meditation, healthy eating, etc). To learn to meditate, check out the “Insight Focus” app and try meditating for 1-2 minutes a day for 2 weeks before deciding to give up or increase your time. Take breaks to respect 90-120 minute daily energy cycles (check out “Power of Full Engagement” by Tony Schwartz). Get hyper-focused – spend the bulk of your productive time on 1-3 tasks that’ll move the needle and delegate admin tasks to 1 day a week. If you fall off the wagon from your healthy habits, get back on track by making small changes instead of large overhauls. Great productivity tools: 15Five, GetFlow.com, Boomerang for Gmail, Inbox Pause, Pomodoro Pro for iPhone. Create a culture of feedback and solicit input from employees, customers, co-founders and others. Set yourself up to create positive emotional experiences for customers. Having a solid product before you attempt to scale makes it easy to grow without significant marketing investment. When leaving companies, work with co-founders to be sure your contributions are recognized and that the company still has all the resources needed to operate effectively in your absence. Pick one thing and focus on that instead of diverting your focus to multiple priorities.